We would like to thank our neighbors in Davidson, North Carolina for visiting our website. If you are looking for a licensed estate planning attorney in North Carolina, you have found a reliable local resource. Located in northern Mecklenburg County, Davidson is settled beside beautiful Lake Norman. Home to Davidson College, the town has a population of nearly 11,000. Davidson, only 20 miles north of Charlotte, is a small college town whose residents enjoy a great “sense of community.” With a certified arboretum, this pedestrian and bicycle-friendly town has a lot to offer. The main street in Davidson is full of shops and a community library, with wide sidewalks and flowers are everywhere. If you visit the town green you are bound to find outdoor concerts, festivals, pick-up football games, exercise groups, yoga, and Tai Chi. Davidson clearly believes in open space. In fact, in the last ten years, the town of Davidson has attained nearly 600 acres of open space. Those greenways and walking trails serve to connect neighborhoods, as well as provide its citizens with options for getting around town while enjoying nature. In Davidson, they handle development in a unique way. The town requires public input from the community for all new development projects and recommend good design. In 2004, Davidson won the Smart Growth Award winner for Overall Excellence in town design and planning. Then in 2013, the town won the North Carolina Chapter of the American Planning Association’s “Great Main Street” Award. 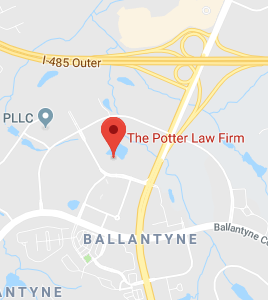 Here at The Potter Law Firm, we take our commitment to our neighbors in Davidson to heart. So we want our neighbors to recognize the value of using a revocable living trust in their estate plans. The revocable living trust is an estate planning device that you should certainly explore before you make any final decisions. Contrary to a widely held belief, you do not have to be a multimillionaire to benefit from the creation of this type of trust. Plus, you do not surrender control of assets that you convey into a living trust. You can act as the trustee while you are living, and you can also act as the initial beneficiary. It would be possible to change the terms of the trust, and you can even rescind or revoke the trust entirely at any time. When you convey assets into the living trust, you are funding the trust. To do this, you change the ownership registration of the property that you want to convey into the trust. You make the trust the new owner of the property. You may list the property that you are conveying into the trust in the trust declaration. When you create your estate plan, you should execute a pour-over will to sit beside your living trust. If you have any assets that are still in your direct personal possession when you pass away, this will would allow the trust to hold these resources as well. If you do not have a pour-over will, and you have no documents other than the trust, the assets that were in your personal possession would become probate property. The probate court would determine the way they should be distributed. If you have questions regarding living trusts or any other estate planning matters, please contact the experienced attorneys at The Potter Law Firm for a consultation. You can contact us either online or by calling us at (704) 944-3245 in Charlotte or Huntersville, NC or for individuals in Kentucky at (606) 324-5516 (Ashland, KY) or at (859) 372-6655 (Florence, KY).